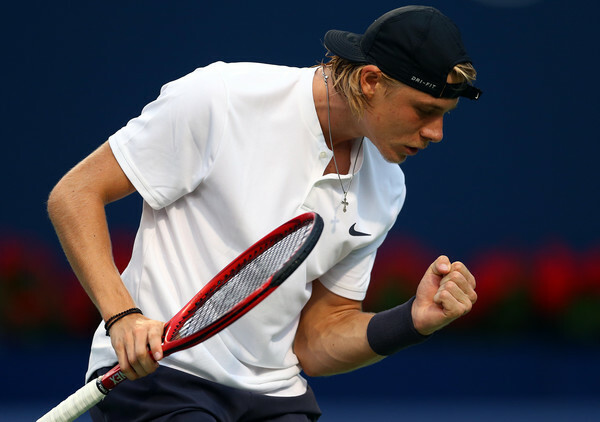 Down 0-4 against one of the hottest players on tour playing in front of a smaller crowd than expected underneath thunder and lightning, Denis Shapovalov roared back to win his second round match in Toronto on Wednesday, something that may have surprised even himself. Denis Shapovalov appears to be gearing up for another deep run on home soil at the Rogers Cup. Not even a 0-4 second set deficit and an opponent who has won two titles in the last few weeks could slow the Canadian teen down on Wednesday in Toronto. With the draw opening up in front of him, Denis Shapovalov spoke on Wednesday about his high-level of play. 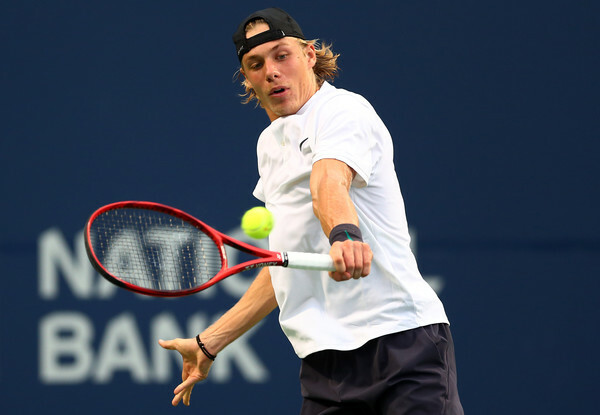 After taking the opening set of his second round clash with Fabio Fognini, it seemed the second was gone for Shapovalov as the Italian raced ahead 4-0. Eight games later, the Canadian was walking off the court the victor having won four unanswered games to level before taking three of the last four to claim the victory. The comeback seemed to come out of nowhere to everyone, including Shapovalov himself, who said, “Yeah, it's unbelievable. Like I said, honestly, I was just preparing for the third set trying to get a rhythm. Just getting ready to play big in the third. And then, you know, once I got that one break, I told myself, okay, let's keep fighting and, you know, maybe you'll have a chance to break him again. You've done it a couple of times in the match so you could definitely come back. The match was played under bizarre circumstances. First, they were supposed to play on Centre Court, but it was moved to the Grandstand because of continuous rain delays. 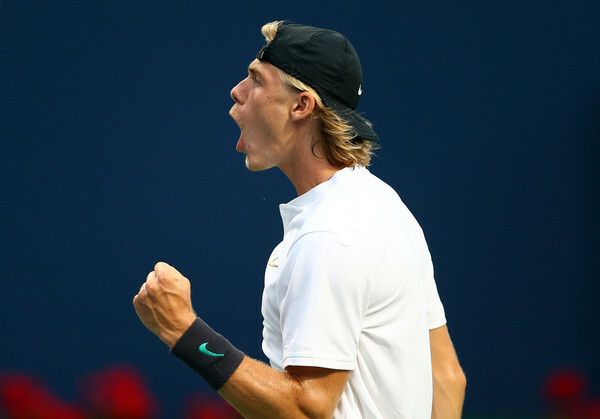 Shapovalov was serving for the opening set when one of those rain delays forced them to pause, which preceded Fognini’s brief dominance of the match. Even when play resumed, there was tons of thunder and lightning overhead, as well as noise coming from drying machines all over the grounds. Despite everything that was going on, Shapovalov “didn't feel distracted too much. Obviously it was loud and there was thunder, and there was a lot of stuff going on, but I don't think that was the reason for me going down 4-0. I think, first of all, Fognini picked up his game a little bit. And I just, like I said, I was missing by a couple of inches a couple big points. Earlier in the day, the 19-year-old had sent out what read as a sarcastic tweet about playing on the Grandstand at home, which he promptly deleted. His explanation was “it came out the wrong way, which is why I deleted it. But like I said, the main purpose of the tweet was because I was disappointed, obviously not for myself, but because there was so many fans and friends that wanted to come watch me on center court and they weren't able to. 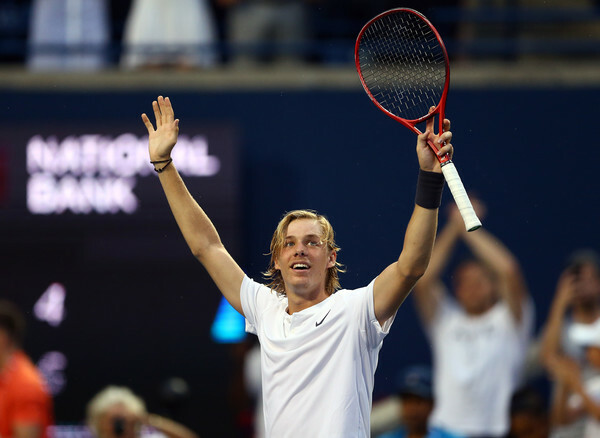 All eyes were on Shapovalov coming into this year’s tournament after his dramatic semifinal run in Montreal last year. So far, he has not disappointed, playing some outstanding tennis to dispatch two tricky opponents. When comparing his game now to a year ago, he thinks “my game is at a very high level right now. You know, last week, even though I lost to Kei, it was a really good match. And I was telling everyone, I'm playing well in practice. I'm feeling really good. Shapovalov will play Robin Haase for a spot in the quarterfinals.